Back in 1967, the 21st century seemed like a magical future world in which we would all have robot servants and be able to do anything and everything from the comfort of our own homes. While that second part kind of did come true (this writer ordered a case of toilet paper from Amazon last week and it came right to my front door), the future actually looks quite a bit different than the people of the 60s imagined it would. 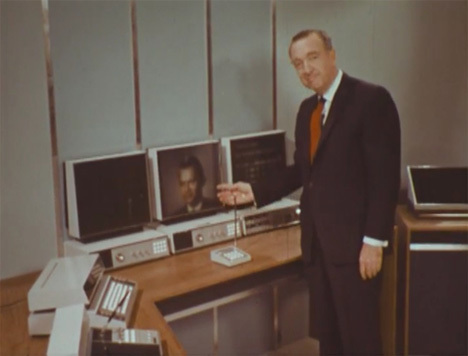 Back then, legendary journalist Walter Cronkite had a weekly 30-minute program called “The 21st Century,” in which he would describe for his enraptured viewers all of the amazing technology that would exist in about 40 years. The March 12, 1967 episode was all about the 21st century home and the then-unbelievable services that would be available to future Americans. 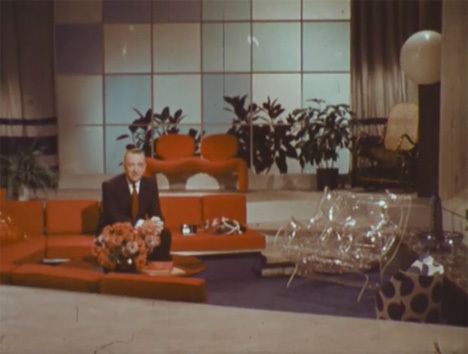 As Cronkite tours a mock-up of a futuristic home, he explains how the home will be self-sufficient, running on its own private fuel cell and recirculating its own water supply. The predicted living room looks a lot like an actual 21st century living room (minus the distinctly 60s aesthetic). There is a huge 3D television, a surround sound stereo system, and a console from which all of the home’s various gadgets can be controlled – although our “control console” looks more like a smartphone or a laptop computer. One prediction which unfortunately did not come true for most Americans is Cronkite’s assertion that the standard work week would be 30 hours and all workers, as a rule, would be granted month-long vacations. But he also predicted that more of us would work from home, and the home office of the 21st century would be a truly high-tech wonder. 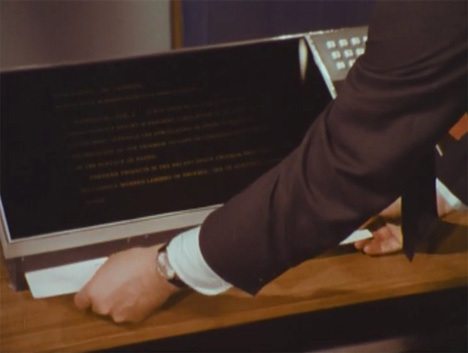 Cronkite shows off the console and screens that will allow business people of the future to read the news, check the weather and even keep up on their stocks, all from a home office. He also predicts video phones, which never really worked out in reality but Skype and FaceTime come pretty close. One thing he couldn’t predict is the horrible pop-up ads for mail order Russian brides that interrupt your checking the news, weather and stocks. One of the weirdest parts of the future-home tour is the kitchen. Cronkite predicts that cooking will all be automated, with some kind of automated chef selecting the ingredients for pre-programmed meals and then assembling and cooking them in a microwave oven. The dishes are all plastic and molded on the spot, then after the meal they are melted down to be recycled and used again at the next meal. So he missed the mark by a bit there, but as for the rest of the program – it comes remarkably close to how we actually live in the 21st century. See more in Retrofuturistic or under Vintage & Retro. May, 2013.